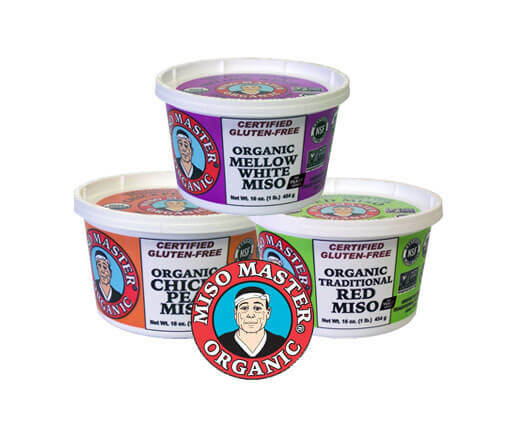 Miso is a refrigerated product and must be handled properly to insure its quality. • All miso orders under 200 lbs ship unrefrigerated, and must go out on a Monday to avoid warm warehouses over the weekend. • UPS Shipping charges are calculated by weight and distance from GES. • An additional handling charge of $10.50 is added by UPS to all 40 lb. miso shipments. • Between April 15th and October 15th, all miso orders must ship either 2 or 3-day UPS unless your normal delivery time is 3 days or less. • All customers take full responsibility for unrefrigerated miso shipping during warm months. Miso has a long shelf life, and therefore we encourage all of our customers to ‘stock up’ on miso during the winter months so that transport needs during warmer months is diminished.